Community is a big part of our lives at Kids College. We are aware of our influence on our Kids College family of children but also recognize our role in the broader society. Really big changes in government and educational values affect our daily operations and little changes in the lives of our little people change what they need from us on a daily basis. Kids College are part of a community and we feel we need to engage and support the people and act as a place of support and learning for not just children but adults too. We also feel we have a duty to advocate for the importance of early childhood learning and be pioneers in the art of early childhood education. Our views of Kids College as part of a community and the knowledge that society and environmental factors influence children’s education are informed by Bronfenbrenner’s ecological theory of ecological change. Bronfenbrenner was a Russian born developmental scientist whose research and his theories were key in changing the perspective of developmental psychology. Ecological systems theory places child development in an ecological perspective, in which an individual’s experience is at the centre, within a nested interconnected systems (Bronfenbrenner, 1989). What this theory means, is that no child is an island alone. Each child needs to be seen as a whole child with varying outside influences to take into account. What that means for us at Kids College is that we remain aware of all of the influences on our children. Within each child the closest influences are from the microsystem,with the child at the centre and in which the child has face-to-face connections with. This is your child’s home and their immediate family. The next layer of influence is the mesosystem, which consists of two or more microsystems and the linkages or processes that combine or connect them. This is level of interconnectedness of the influences closest to each child. This is the extended family, your circle of friends, schools and Kids College. How Kids College and your family interact together within the educational and care for each child has a direct impact on them. These mesosystems exist within the larger context of the exosystem, those settings in which the child does not directly engage in but does influence the lives of parents and other adults in the child’s world, such as a parent’s workplace, educational institutions that train child-care teachers and providers, and government agencies that set regulations for child-care facilities or establish welfare-reform policies. Your child may never have actually visited your workplace but what happens in your work life affects them through you. 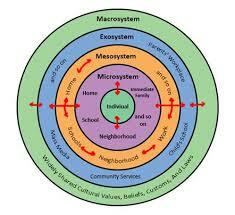 The mesosystems and exosystems operate within the context of a macrosystemof societal and cultural beliefs and practices. These are the overarching influences of our broader Australian climate. These are the laws and regulations that govern our society, particularly in this discussion would be childcare and educational reforms. 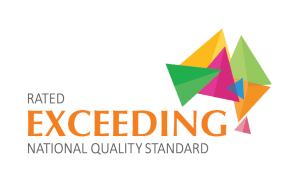 A good example is the national educational curriculum The Early Years Learning Framework, which is based around the broader beliefs and values of the Australian Governments involving early childhood education. These systems are not static and do change over time, they are referred to as the chronosystem. We remain constantly vigilant about how these changes could affect your child in big ways and small. This is why it is also important for us at Kids College to advocate for the profession of early childhood educators. Please let us know what is going on in your world so we can ensure we are being there for your child in the manner they need. We have relationships with our children themselves and your families. Families tend to spend a number of years with us so we do enjoy deep meaningful relationships. We are also proud of our staffing team who are very highly trained and spend many years with us. Kids College children grow up with us in their formative years and graduate on to the nine local schools in our area. This is when they join Whitfords Chipmunks OSHC club for before and after school care and utilize our Kids College Kids Club for vacation care. Our main two schools in our area St Marks Anglican community school and Springfield Primary school, we work with aswell to ensure a smooth transition for everyone and a continuity of care. We communicate with our families in many ways, in person day to day, via email, via our facebook posts and our articles on the website. Our Kids College families are supported and valued by our numerous events. We hold mothers day, fathers day and a big year end event. We also have numerous professional development events, which are much anticipated and supported. We have also developed a community notice board for our families to communicate with each other and recommend know and trusted businesses and people in our area. Each of us is working in conjunction with the others to provide the very best love, care and education for our darling children. Local, Federal and State policy and politics affect our lives. The United Nations Convention on the Rights of the Child, Code of Ethics, Early years Learning Framework and the National Quality Standards are all large scale influences on our daily lives at Kids College. Kids College believes in keeping children fit and active. 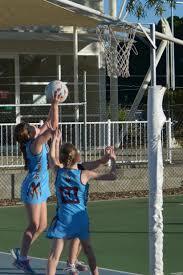 We have sponsored local sporting teams, like the Carine Cats Softball KC bears team and the whole St Marks netball club for children in year 1 to year 5. We have supported many charities over the years and are particularly proud of our annual book drive at Christmas to donate to Princess Margaret Children’s hospital and now the new Children’s hospital. We have extended our opportunities for supporting these worthy causes to utilize Whitfords Chipmunks who have a huge playland and café ideal for hosting bigger events. We have afforded our children the opportunity to play in the indoor playland to keep them active on those wintery days. We met our computer tech genius at Whitfords chipmunks. Steph from Do Terra dropped in at Kids college and is now involved in the Small Business markets. One of our Kids College parents kindly taught us all a bit about the Chinese culture and language. Our landscaper is an uncle to one of our children. We met our insurance agent at Kids College when his children started care with us. Our business agent’s children has now joined the Kids College family. We even had a visit from the fire chief at Perth airport who had children at Kids College.Our trained baby massage instructor has helped families with colic and reflux babies. Which had a great positive impact on not just the babies but on their families aswell. 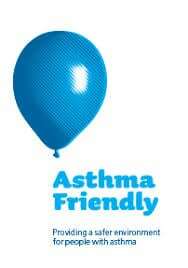 We have had training in SIDS, Asthma management and had a community health nurse workshop. We have visited Woolworths for their discovery tour of the background inner workings of the store. Our children loved this and learned so much. 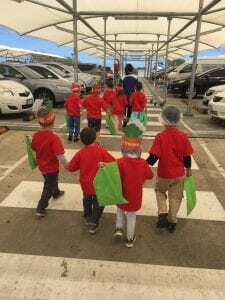 We have noticed a change in their home corner dramatic play in the shops and have provided a number of shopping experiences for them to really engage in. Our particular culture is informed by our families, who are part of our community and the greater Australian culture we live in. Kids College has a two way process of cultural competence. We ask our families what is important to them and what aspects of their cultures are important to them. Particular care goes into respecting our Aboriginal and Torres Strait Islanders cultures. 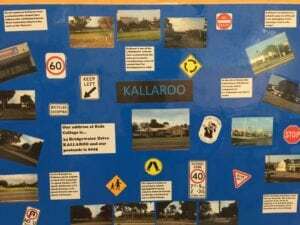 We are assisting children to develop an understanding of their own social and cultural heritage and raising awareness of the Aboriginal and Torres Strait Islanders. Of particular significance was the Museum in a box for the Noongar culture resources specific to our area that have helped us show our respect and educate our early childhood children about Australia’s first people. 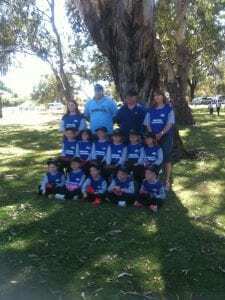 As a small family owned business ourselves, running Whitfords Chipmunks and Kids College Childcare Centre, I know how much we appreciate the support and love we have received from our local families. 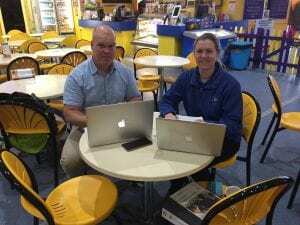 This has inspired us to reach out to other small business owners and start up and idea for a ‘Small Business Friday Market’ at Whitfords Chipmunks to start a support network where we can help each other and spread the word to our community, working together to create awareness in our local area for all the hard working small business owners out there. 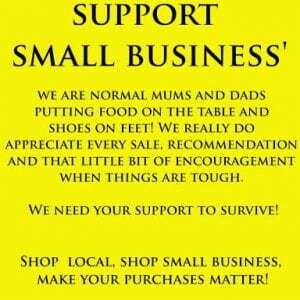 We run the small business markets once a month and are very proud that we have been able to help, inspire and support our local community. We also run a market a day on Saturdays and Sundays at Whitfords Chipmunks to support our local community. ‘Choose respect, working together to achieving more.’ Springfield school creed. Typifies the relationships Springfield has with its community and these values resonate with us. We are involved on a number of levels with Springfield and value our part in working together to achieve more. We assist our bigger Kids College students with their transition to big school after they have graduated Kids College. 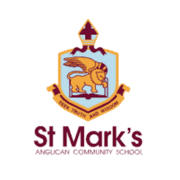 St Marks is a Kindy to year 12 school that we work closely with. The schools commitment to community is a very big strength and we have been welcomed into their sphere of influence on a number of levels. A good example is our social emotional development program which starts with Kids College and ensures a smooth transition to St Marks as the children graduate through their school. They have a strong whole school approach, which we have adopted and further developed and innovated to create a firm base of social and emotional learning for our early years education at Kids College.